Summer is here, and you know what that means: it’s time for delicious treats! 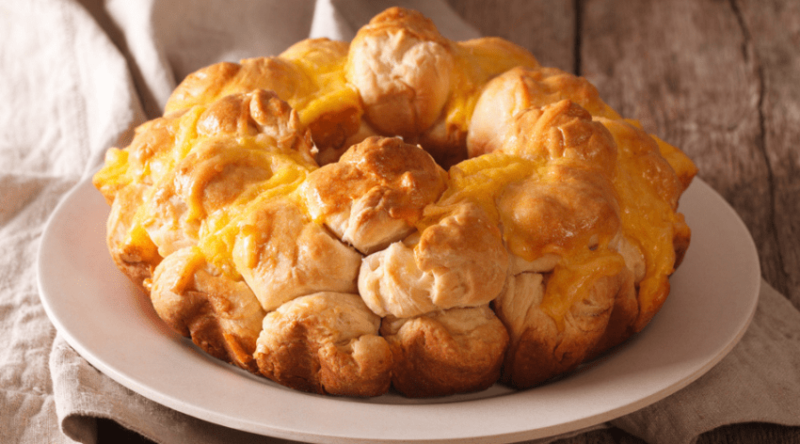 Family gatherings, parties, even solo adventures can be made so much sweeter with a little campfire dessert, even if you don’t have a fire pit. After giving BBQ S’mores a try, I might just never, ever go back to using a stick again, even when I do have a cozy fire on hand. Super convenient, crazy easy to clean up, and so incredibly simple, you can’t afford to not try this new twist on a classic snack. This recipe doesn’t require anything you won’t already have on hand, so it’s not even a stress to try. 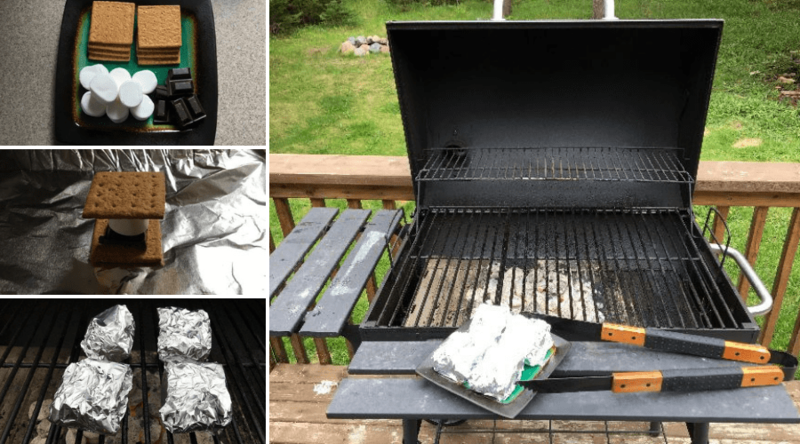 Let’s get right down to it and see just how easy BBQ S’mores are to make. This might seem like a no-brainer considering they’re called BBQ Smores. 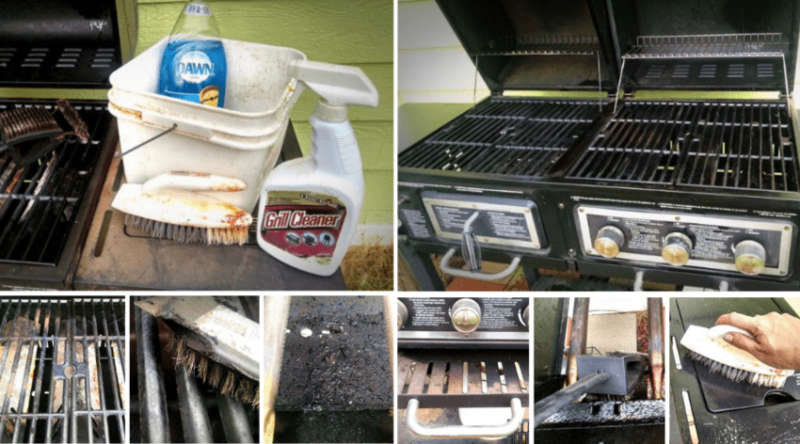 Gas or charcoal, big or small, no matter what brand or style, you can use it for these purposes. All that’s required is temperature control of some kind, as you don’t want to melt the s’mores into ashen oblivion. If you can’t easily control the temperature or are planning to build an old-school traditional campfire (you rebel), keep a close eye on the squishiness of your s’mores, as we’ll cover later in the step-by-step instructions. This is the one piece that makes the difference between classic stick-and-campfire s’mores and BBQ S’mores. How much you need will depend on how many you’re making, and a thicker weight will work really well for standing up to the grill’s heat. 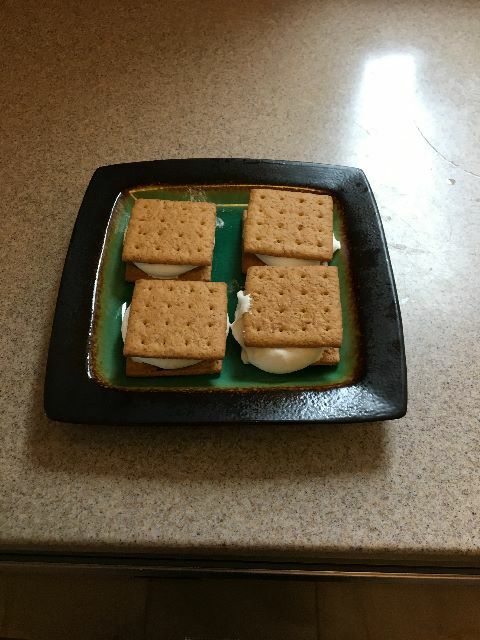 For each standard sized s’more, you’ll want a little less than an even square to make sure the treat is completely contained without doubling up on unnecessary thickness. How many you want will depend on how many people will be eating, but you’ll want at least one large graham cracker per s’more. Just break it in half short-ways so you have two squares and you’re good to go! 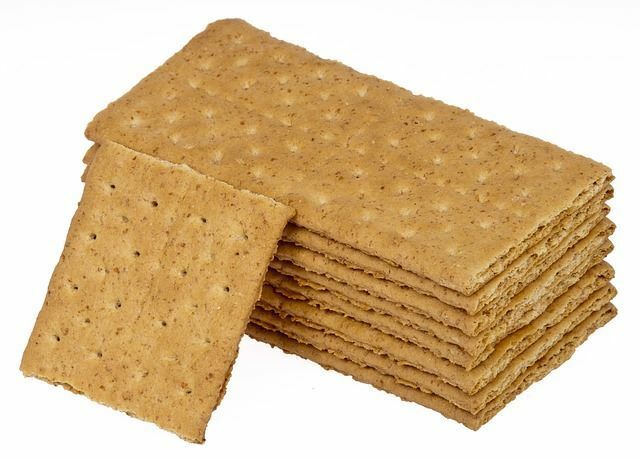 If you get the graham crackers with sugary finishing, I recommend turning the sugar inward, else you risk knocking it all off when building, cooking, and unwrapping your dessert. If you’re a mega-chocoholic, there are chocolate graham crackers out there. You’ve been warned. Again, how many you’ll need will depend on how many you plan to make. Some people prefer chocolate bars like Hershey’s because they’re easy to size and square off on the crackers, while others will use chunks of semi-sweet chocolate. Whatever you wish to use, make sure you have enough to fill one of the two graham cracker halves. If you’re feeling extra adventurous, you can use a peanut butter cup instead of chocolate, or add peanut butter to hold the chocolate in place. Some people have even recommended Nutella or cookies-and-cream flavored Hershey’s, but I’d only recommend alternatives to someone with a major sweet-tooth. You’ll want to go big with this ingredient. Who wants to chase down a bunch of the little marshmallows when a single big one is the perfect size? While some people will sub this out for something crazy like cookie dough, I’m a big fan of the classic jumbo size. Though I admit, my craving for chocolate can get a little out of control, especially after I found out that chocolate marshmallows exist. Second warning! 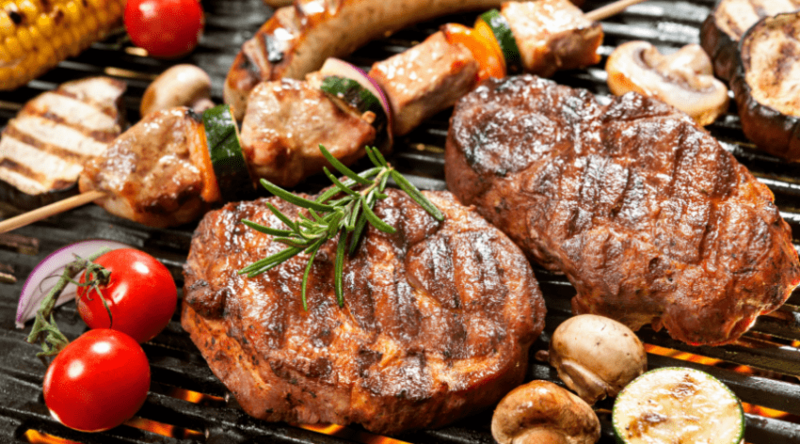 If you’re having a get-together and someone’s got the grill rolling already, just keep it hot! The best temperature is going to be a medium indirect heat. Rather than allowing the roaring dragon to consume your snack to ash, you will want to tame the savage beast a little bit. If you have no direct control, don’t worry and keep a spatula on hand. Step Four will explain it better once you get there. Lay out a single square and prepare one of these first so you can get an idea of how much you need. Mileage may vary, but I’ve found a square can be too much. Experiment a bit. If you’re planning on attempting the campfire route, I’ve had people recommend giving each wrapped s’more a little bit of a handle so you can grab it more easily with a glove or tongs and have less chance of losing your treat in the fire. For the majority of us, this won’t be an issue, so try to get it evenly wrapped, if possible. 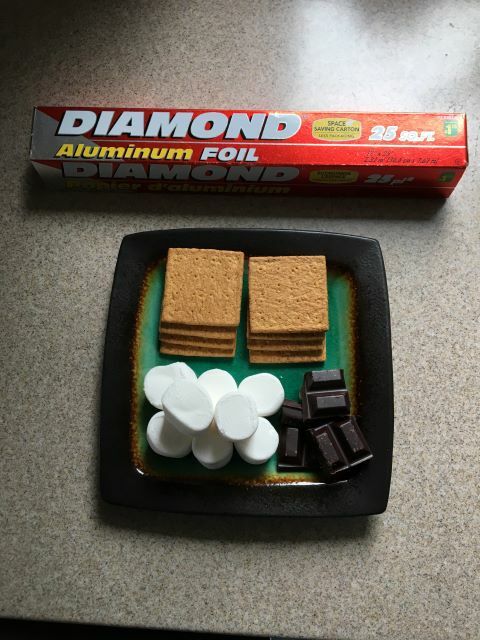 For anyone who has had s’mores before, this part will be pretty simple. 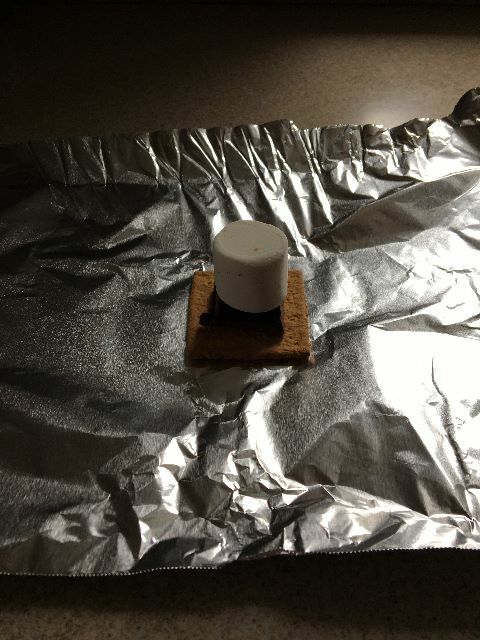 The goal is to build the s’mores now, rather than later, so start with one half of the graham cracker. 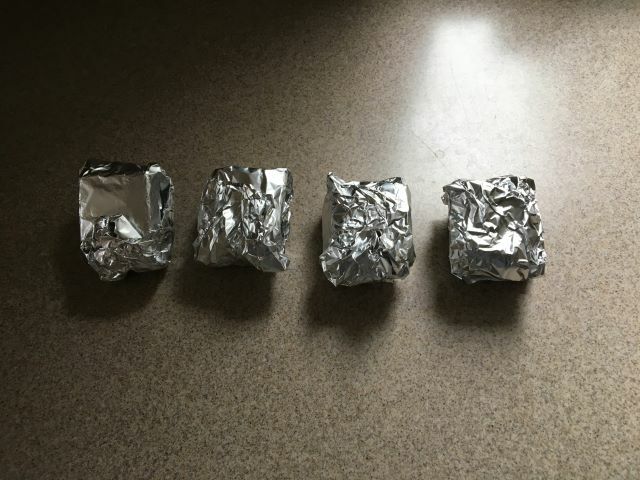 If you’re using the sugar ones, make sure the sugared side is up, not facing the foil. 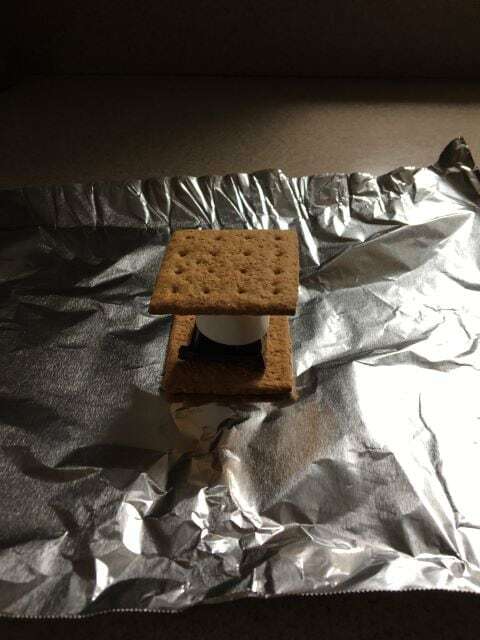 Add your chocolate on the bottom (along with whatever crazy extras you decided to throw on there), then follow with the marshmallow and the second half of the graham cracker, sugar side down. Boom, you’re done. Try to keep each side as even as possible, but you’ll most likely have a thicker side due to fold-over, so keep it on the graham cracker side. 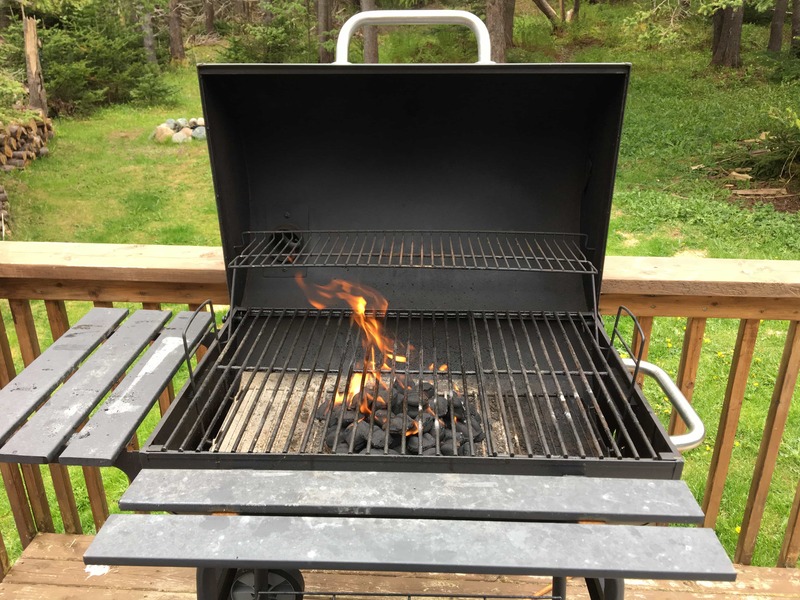 As mentioned before, you’ll have to have your grill set to a medium, indirect heat. What this means is you don’t want it too hot and you don’t want your s’mores directly in the fire. 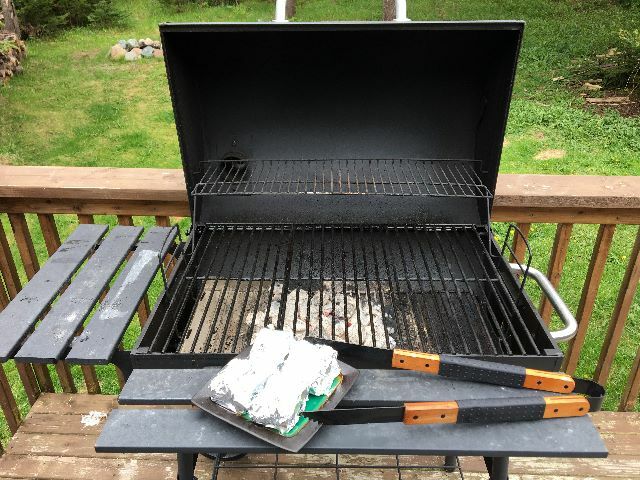 If you have a second level on your grill, that will work perfectly, but if you don’t, knowing when your s’mores are done may take a little trial and error. For the basic method of attack, you’ll want your s’mores to sit in medium indirect heat for about three to five (3-5) minutes. I start mine with the fold-over thickness on the bottom and flip them over when there’s about a minute left. 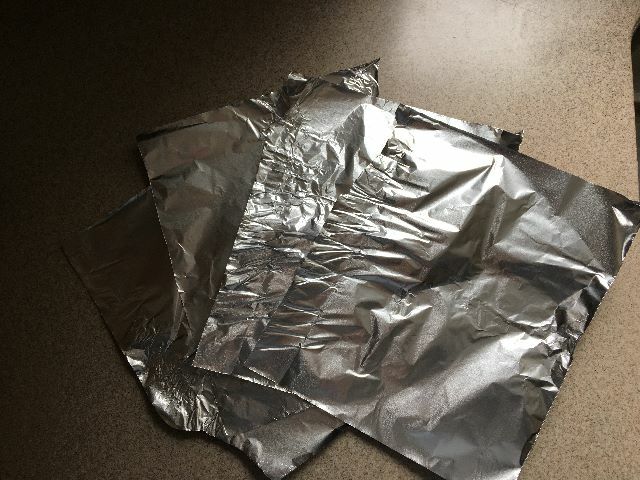 Avoid direct foil contact with flames. If you’re running off the cuff, there’s one way you can keep an eye on how done your s’more are without having to unwrap them. 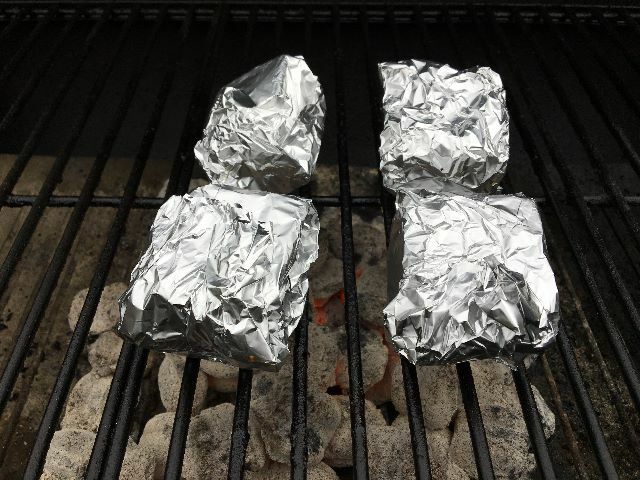 Take a spatula and press down lightly on the top of the foil-wrapped bundle. If it bounces back or provides resistance, the marshmallow inside hasn’t softened enough yet and the s’mores probably aren’t done. If it gives easily, they’re most likely ready to be consumed! If they explode into ash or smash flat, well…at least you’ve got a great reason to try again. Repeat as often as desired. As always, contents will be hot, hot, hot! Use appropriate protection to avoid burns. This has become a serious hit at our household gatherings, and even work over an open fire during camping season. I can prepare them far ahead of time and afterwards, clean-up is a simple affair. I don’t have to worry about doling out separate ingredients or melty marshmallows dropping off into the campfire. 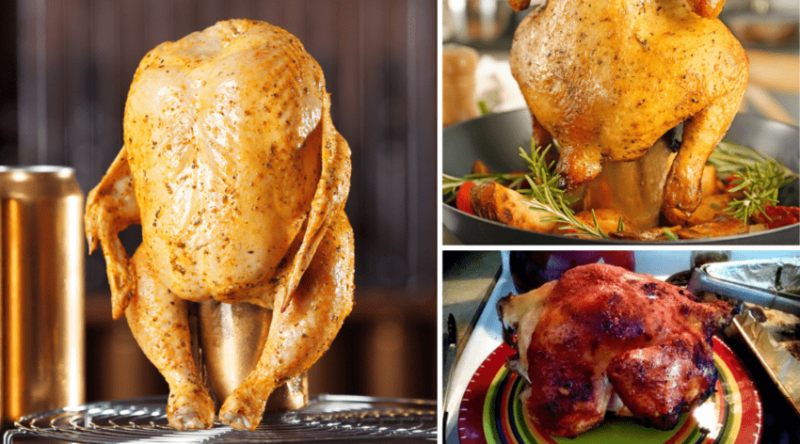 The overall idea is so simple, the recipe allows for a lot of creative freedom when it comes to ingredients. 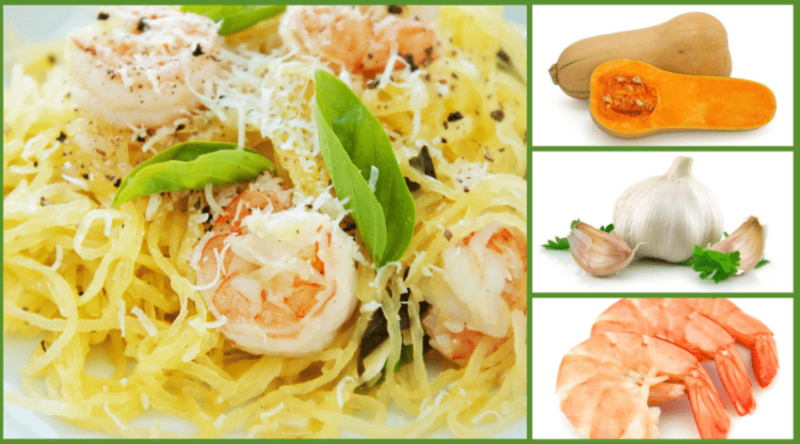 The most delicious part will be that, when you experiment and try new things, your successes will be that much sweeter.